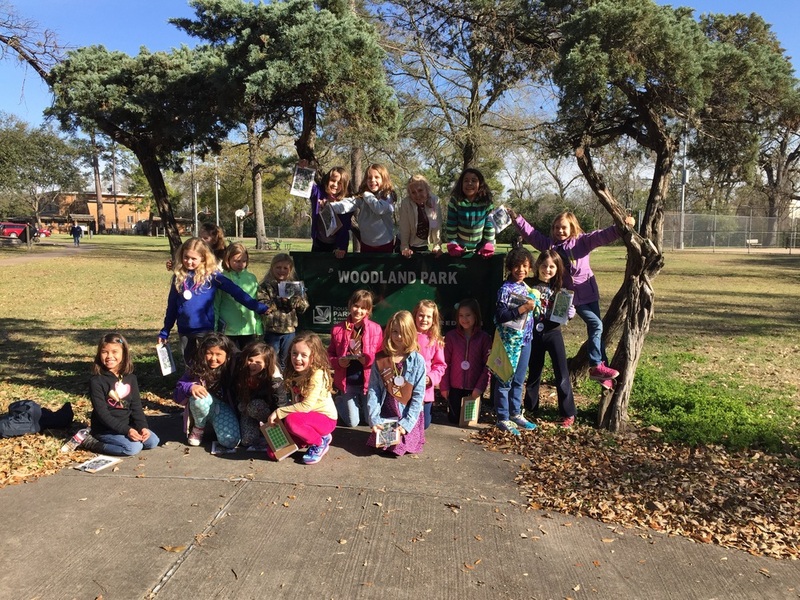 On a cool and sunny Friday afternoon on March 6, 2015, 19 girls from Brownie Troop 25001 at Travis Elementary with two leaders and two adult helpers visited Woodland Park. The girls gathered at the park’s entrance sign for a photo op before finding a place to sit near the playground equipment to hear about the history of the park. They learned about the clothing children and adults would have worn to spend a day in the park in 1904; that families could have ridden a trolley to and from the park, and the activities at the park included canoeing, riding the aerial swing, and the water slide into the lake that was part of the park. Snack time was next and included a few minutes discussing the meaning of “leave no trace.” This was followed by a walk to the edge of the bayou and the girls saw firsthand where others had left their trash behind. A few photos were shown of several of the birds sighted in the park, especially the Great Horned Owl family. The last nature lesson was the need for prairie grasseswhich produce seeds for many birds in the park and the milkweed needed for the Monarch butterfly. All too soon the parents were arriving to pick up these very active and outgoing 7 and 8 year old girls who each said thank you before leaving. 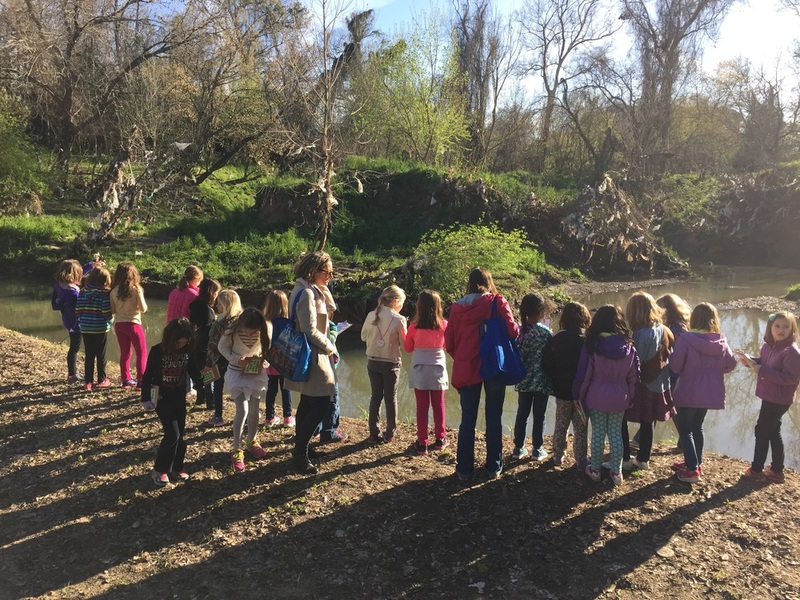 The Friends of Woodland Park invite all of the girls to return with their families to enjoy more of the park and walk the trails within the forested area.